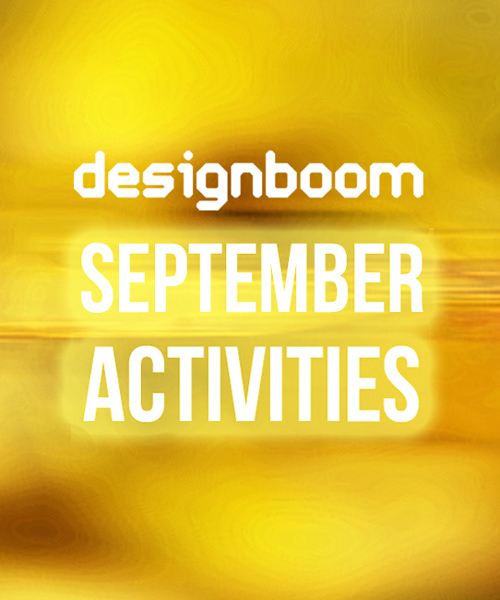 with autumn upon us, the design world is slowly shedding its summer clothes and launching into a new season of creative happenings ahead. designboom is kicking off fall fever with a host of exclusive programs lined up throughout the month of september, taking place across the world. we’ve partnered with IKEA, bang & olufsen, and MINI LIVING to bring you curated conversations and live events that will unearth discussions about design’s role in society, and how our lives can be shaped by creative industries. can’t make it to lugano, london, or beijing? not to worry — you can join us LIVE to watch the keynote speakers and creative conversations directly on designboom. stay tuned and see more about what we have in store below. DESIGNBOOM is partnering with IKEA to offer our readers the opportunity to watch the DEMOCRATIC DESIGN DAY 2018 lugano keynote event LIVE. the event will take place in switzerland on september 14th at 10:00am local time, and will host an impressive line-up of speakers who will reflect on the following theme: how to navigate an uncertain world through design. global warming, scarcity of resources and social tension are among the issues that will become existential threats if left unresolved. these enormous challenges present an opportunity for design, as a solution-oriented and holistic principle, to play a key role in shaping our reality. 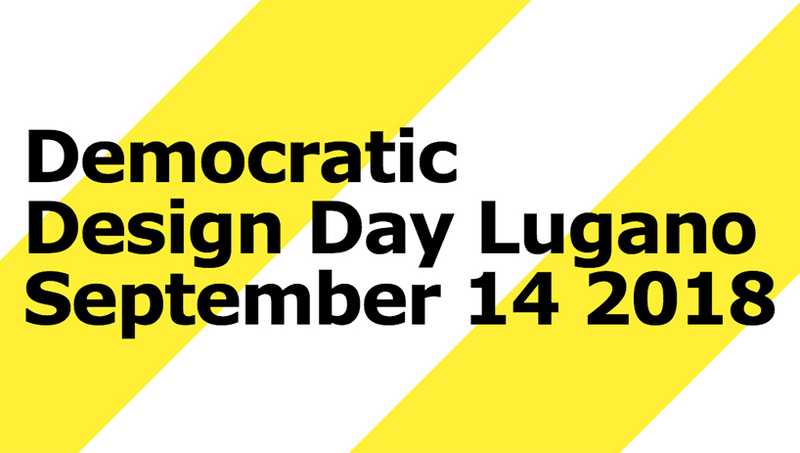 REGISTER to attend the IKEA DEMOCRATIC DESIGN DAY 2018 in lugano. if you’re far away from switzerland, you can join designboom LIVE on september 14! 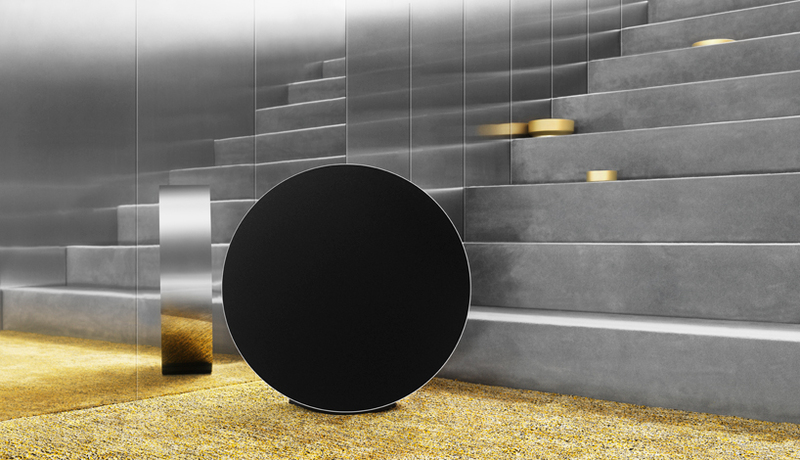 for nearly a century, bang & olufsen and their innovative products have broken the rules and conventions of product design and altered the perception of how we live with sound. the new ‘beosound edge’ speaker, created in collaboration with michael anastassiades, once again demonstrates this philosophy by seamlessly pairing high craftsmanship and luxury with advanced technologies. during london design festival 2018, bang & olufsen welcomes guests into a special sound installation, ‘1/6000’, where they can explore the intuitive and immersive performance of the beosound edge. on wednesday september 19 from 6:00pm – 8:00pm at 237 brompton road, knightsbridge, designboom will co-host an evening in conversation with bang & olufsen and michael anastassiades. set to be as magical as the speaker itself, the event will be hosted by designboom editor kieron marchese and include kresten bjørn krab-bjerre, concept manager of the beosound edge, alongside the designer. guests will have the chance to experience the installation during a drinks reception, and pose their questions to the creators during a Q&A session with the audience. experience the magic for yourself — RSVP HERE! from the global tour of MINI LIVING’s urban cabin to their upcoming shanghai residence, designboom and leading architects discuss the principles of the creative use of space and how, specifically in china, designers are re-interpreting traditional living spaces, such as the hutong phenomena. join us for the ‘how to create a sense of home – architecture in the age of global nomads‘ talk on wednesday september 26th from 17:30 at the house vision 2018 beijing exhibition, located near the chinese capital’s bird nest stadium. during the fair, MINI LIVING will continue the global tour of their urban cabin concept, which, once again, creatively explores new possibilities of living within 15m² but with a locally specific influence. oke hauser, creative lead MINI LIVING, and sun dayong, founding partner of penda and collaborator for the urban cabin beijing edition, will explore their design, the principles it engages with visitors, and how the concept rethinks traditions of living spaces, most specifically in china. moderated by andrea chin, architecture & design writer, PR strategist and former director of designboom’s milan office, the discussion about the creative use of space will joined by bao wei, principle architect of BWAO/bao wei architecture studio, and martijn de geus, architect and co-founder of maison h and lecturer at tsinghua university’s school of architecture. the internationally-experienced but beijing-based pair will add further local insight into the urban future of chinese cities, building most specifically upon their recent works. join us — RSVP HERE!